Summer is winding down and that means there will soon be an influx of pumpkin and fall bears coming your way. 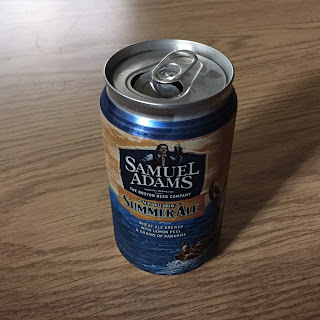 While we still have around a month of "official" summer weather left I felt it was only fitting that we were to name Sam Adams Summer Ale as the BWB Beer Of The Week before summer comes to a close. Now there are many choices when it comes to summer beers these days. Do you want a shandy or an ale? Maybe a combination of the two? When searching through your local liquor stores earlier this summer, you most likely would see cases upon cases full of various types of seasonal beers. In many cases your cant go wrong with your choice as most summer beers give you that crisp taste we have come to enjoy and expect during these summer months. Sam Adams Summer Ale is the perfect beer for just hanging out on the deck, playing one of your favorite outdoor games, or even running a beer mile! If you haven't watched the BWB Beer Mile video you can do so below. 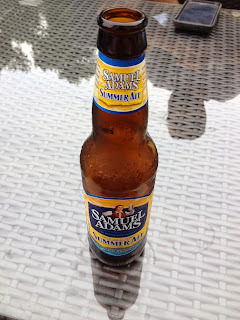 Samuel Adams Summer Ale was the winning beer! It's the biggest party of the summer on this weeks edition of the BWB Podcast! Tune in this Sunday at 11AM ET for the BWB SummerSlam 2015 Kickoff Show! We will be previewing this years event along with much MORE! Cheers!